Summary: 10-year-old Chihiro Ogino and her parents get lost in route to their new home and end up at a deserted theme park. Her parents insist on investigating the run-down park, which has a lot more to it than meets the eye. When Chihiro’s parents gorge on the food from a restaurant in the street, angry spirits turn them into pigs. This is only the beginning of the spirit world opening up and trapping Chihiro, the only human, inside. Just as this transformation is happening, the mysterious Haku appears, claiming to know her from the past. Under Haku’s instructions, Chihiro secures a job in the bathhouse where Haku works. Chihiro is completely out of place in the spirit bathhouse, being that she is the only human and apparently humans carry a horrible stench with them. With only her courage and some new found friends to aid her, Chihiro embarks on a journey to find her parents, turn them back to humans, and return home. 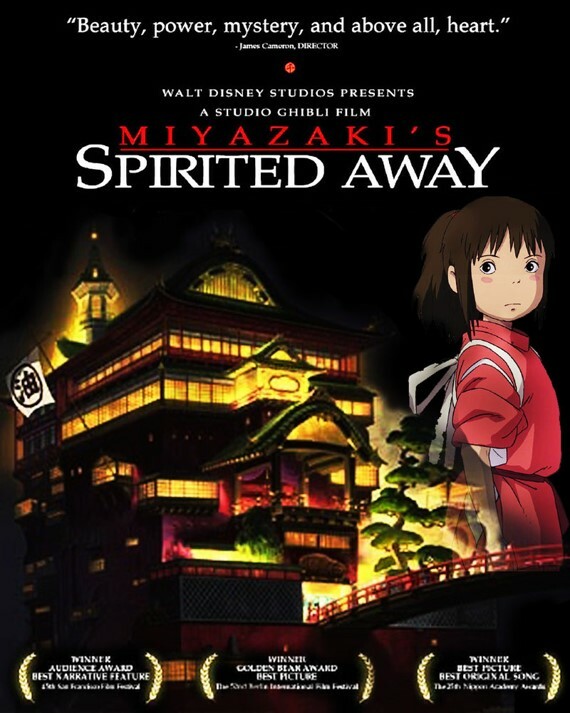 Spirited Away is a Studio Ghibli film that was written and directed by Hayao Miyazaki. That alone should be enough reason to watch it. As if that is not enough, it also won the Academy Award in 2002 for “Best Animated Feature”. It is the only foreign language film to win this award. I have watched Spirited Away many times and every time I watch it I notice something new. The story is well-written and well-paced, leaving the viewer interested throughout the entirety of the film. There is noticeable character development throughout the film, which leaves you unsure about how you feel about the characters. There are characters that you side with at the beginning and then grow to dislike, and vice versa. The soundtrack is amazing. I can be listening to the soundtrack on its own and know which part of the film it belongs to because of how memorable it is. 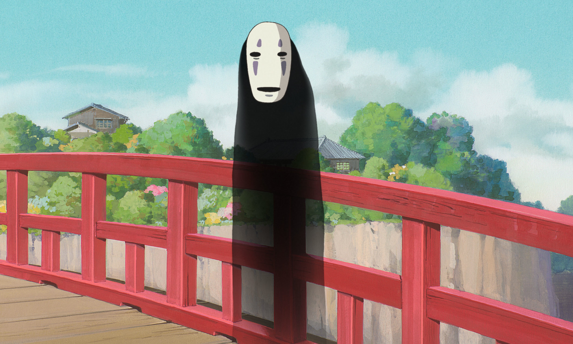 Miyazaki uses many of his signature aspects in Spirited Away. He utilizes a strong female protagonist, which is pretty much his calling card. Additionally, there is a coming-of-age story mixed in with the storyline. Lastly, there is an absence of an absolute villain, meaning that even though there are villains, your feelings change toward them as the film progresses. You might enjoy this if: You are ready to dive head first into a full adventure in the spirit realm. You might not like it if: You want a straightforward anime that does not require a lot of thought while watching. Note to the Viewer: You will have a difficult time deciding who your favorite character is. This entry was posted in Anime and tagged 2001, adventure, anime, away, drama, fragglepuss, ghibli, hayao, miyazaki, review, romance, spirited, studio, supernatural. Bookmark the permalink.